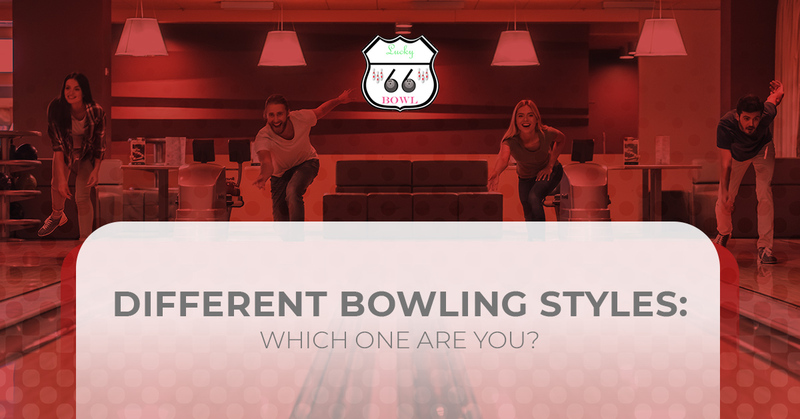 Bowling Albuquerque: Which Bowling Style Are You? If you thought bowling was just as simple as merely throwing a ball down a lane to knock down pins, then…well, technically, you’d be right. However, when it comes to actually executing this feat, various bowling techniques become far more complicated than just hucking the ball as hard as you can down the center. Are you looking to genuinely improve your bowling game to beat other company teams in a bowling league, or for the purposes of earning bragging rights against your friends? Whatever the case, our Albuquerque bowling alley may very well be able to help you understand your bowling style. Competitive Or Carefree, Fun Awaits You At Lucky66 Bowl! From casual fun at our multiple banquet halls to sand volleyball in the summer sun, it’s hard to beat a day or night spent at Lucky66 Bowl — even if you can’t beat your friends’ bowling score! We’re ramping up for a great summer, and we want to share the joy of our bowling lanes with you. Join a bowling league today, or simply grab your friends and family for a night of fun! Contact us today with any questions. If you’re a “macho bowler” that likes to exuberate a great deal of power and confidence in your bowling game, you could be a cranker. Crankers utilize a lot of fast ball rotation and a pronounced, nearly-dramatic backswing that tells people within a ten-foot radius to back off. Though you might be prone to throwing more splits than other bowlers, at least you’ll look good doing it. To strokers, bowling technique is not so much about power as it is about accuracy and a carefully-controlled approach. While a stroker may not look as impressive as a cranker from afar, their calculated methodology will prove fruitful when you see them rack up the spares and strikes. With a smooth delivery and a relatively low back swing, it’s not uncommon to see many professional bowlers who are considered as strokers. If you’ve read this far and you’re thinking “I’m not quite as extreme as a cranker, but I’m also not quite as conservative as a stroker,” then you’re probably a mix of the two — also known as a “tweener.” Most bowlers tend to be tweeners, which is great because you’re essentially getting the best of all worlds when it comes to bowling technique. Throwing technique completely out the window, chuckers simply “send” the ball down the lane in hopes that the ball doesn’t immediately fall in the gutter. Typically bowling for fun instead of a score, chuckers are, at least, fun company. The Best Albuquerque Bowling Venue Awaits You! Whether you’d like to beat the upcoming New Mexico summer heat and hit our bowling lanes, relax with a drink at the bar, or embrace the heat and join a sand volleyball league, Lucky66 Bowl truly has something for everyone. Get started with the fun and learn more today!